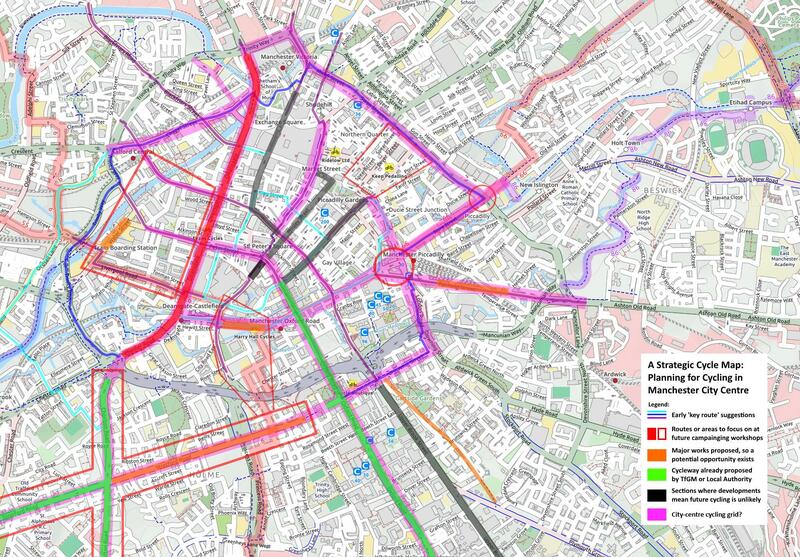 A second workshop where we’ll continue to crowd-source and brainstorm ideas to help develop a strategic plan for cycling in Manchester city centre. 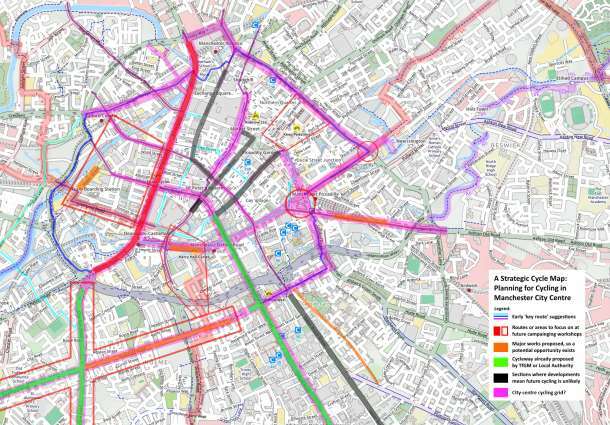 The output from this workshop will enable us to present some clear options to TfGM and Manchester City Council, who are currently developing a ‘City Centre Cycling Infrastructure Plan’. We’ll be in the upstairs room at Terrace NQ from 6.30pm on Wednesday 9th December. Hope to see you there, just bring your ideas and enthusiasm!